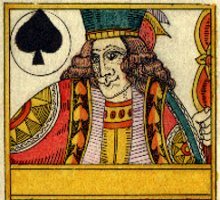 This early Gerich work is an adaptation of the standard English pattern with continental or Austrian stylisation. The double-ended designs are slightly different at each end and divided by a gold band across the middle. The colour scheme includes red, yellow, green and pale violet. 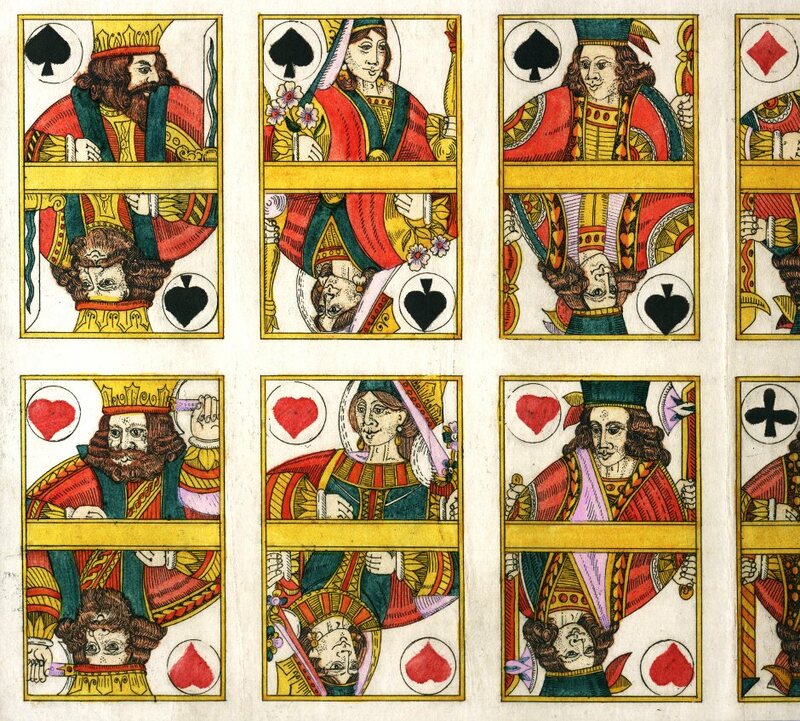 Above: detail from an uncut sheet of Karl Gerich's double-ended 'Austrian' style playing cards; hand coloured copper etching with stencilled pips, c.1982. Complete packs contain 52 cards; cards measure 53mm x 85mm. Images courtesy Barney Townshend.